This new year, I'm sure most resolutions, hair wise is along the lines of healthy, longer, thicker natural hair. Some of you may have decided to transition to natural hair and may have big chopped. So, now what? Most people complain that natural hair care is time consuming and my mantra is ' Natural hair care should not be time consuming or stressful'. To help make this possible, I will share different regimens for different hair lengths and different time schedules (because some of us have less free time than others). They have worked for me, my family (mum, sisters, cousins), friends and feedback from NappyGirl Kit Users has shown them to be useful. 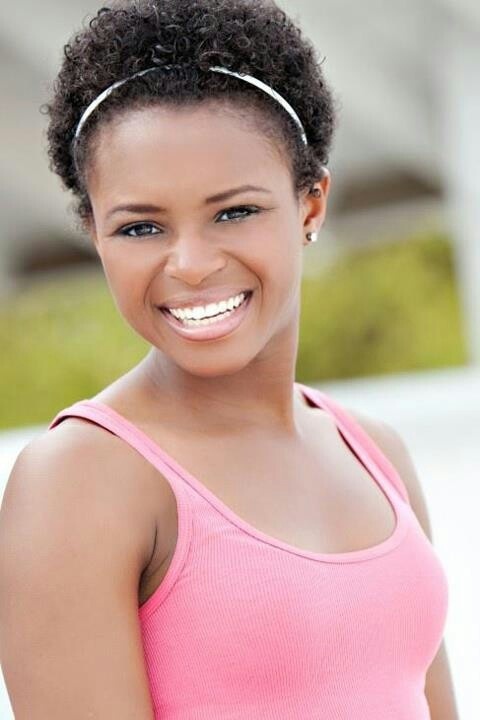 First, I'll start with a simple regimen for the new naturalista who did the big chop and is sporting a teeny weeny afro. She has been used to monthly salon visits when she was relaxed (had her hair shampooed, deep conditioned and styled). She doesn't have any idea about moisturising her hair daily because she rarely had it out, has a busy weekday but free weekends (i.e. Saturday and Sunday), showers everyday, leaves as early as 5am to go to work and comes back as late as 7-8 pm dead tired. If this sounds like you, no probs. With a teeny weeny afro (twa) and for a beginning naturalista, you need to concentrate more on moisture retention than how long your hair grows. It goes hand in hand though. Well moisturised hair helps you retain length which invariably leads to longer hair....so focus on moisture. Also don't fall into the trap of being obsessed with coil definition. Some people have teeny weeny fros with natural coil definition while others don't. If your hair falls in the latter category, there's no need to fret. Just moisturise, pat and go. Products you will need are. - Styler or gel especially as your hair gets longer. A useful regimen can be like this. Week 1: Co wash when you shower twice a week. On other days you can simply allow your hair to get wet. Detangle with shower comb. Blot off excess water, apply leave in conditioner of your choice and seal with oil. Go about your toilette as usual. Daily apply conditioner to your hair as you would your skin. Week 4: Shampoo, condition, moisturise and seal. To make it easier, you can make washday any weekend you are free, so your weekdays will just be wetting under shower and moisturising. Twice a week cowashing means if you cowashed on Sunday, you simply wet your hair Monday through Wed, cowash Thursday, wet Friday and Saturday and cowash Sunday. Repeat cycle. It shouldn't take much time since your hair is shorter. Just an extra 15 to 20 mins in addition to your shower time. The less fancy you get the better for you. Save all the pre poos and what nots for less busy days or on your day off. This is also where good products come in. and if your styler holds your style in place without crunching and flaking, then you've saved yourself the extra stress and time correcting these problems. You can switch up the regimen to fit it better into your routine but the less drama you have with caring for your natural hair, the better it will be in the long run and the easier it will be to grow your hair longer. Next post will be a natural hair regimen for a busy naturalista with 'in between length' hair. If you have any comments, questions or suggestions, feel free to add. Will there be step-by-step for moderately busy and those with all the time in the world? Nice job you are doing. Keep it up. Hiiii Franni!!!! Thank you. Hmmmm...for the moderately busy and those with time, it's not a bad idea to try the maximum hydration method. Great post lady!!! Might want to feature the series at some point in the future on AN... may I? Thank you, Berry! Yes you can share! I do hope it'll make the natural hair journey stress free. Hi Toyin, I think the one for medium length hair will be useful.